I've been running EcoTech Vortec MP10WQD pumps for over a year (I'm a fan). Without question, the modes they offer right out of the box offer serious benefits to the tanks inhabitants over traditional powerheads. 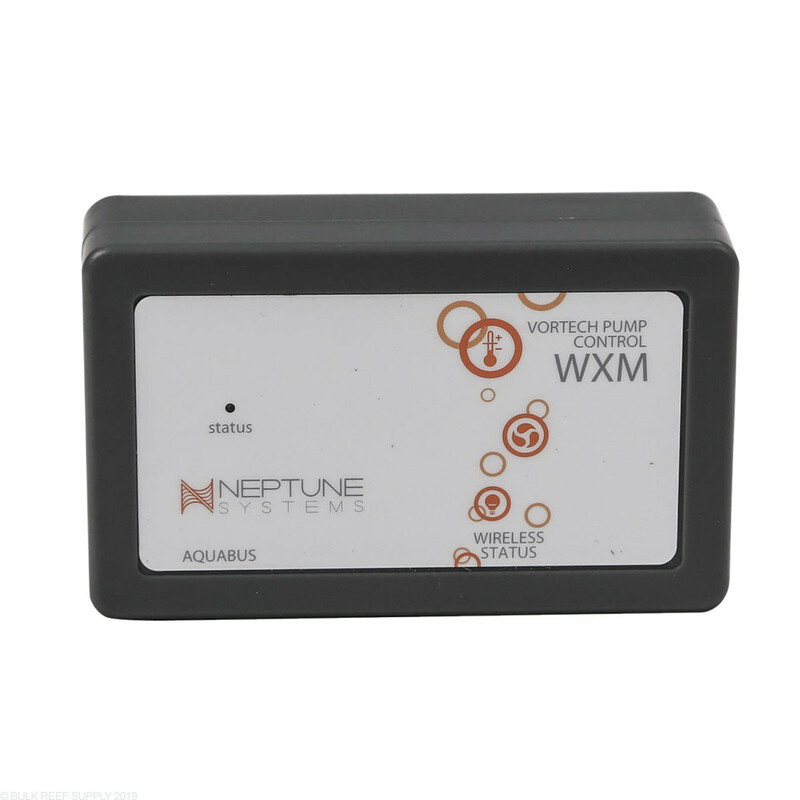 However, today I added Neptune Systems WXM Module to control the pumps via Apex. I didn't really know what to expect. As it turned out, it was super easy to install - took about 10 minutes to connect the WXM to Apex via Fusion. Then another 10 minutes to return pumps to factory settings and get it to communicate with WXM. At first I just watched the default program run for a while and my corals perked right up. I can already see that the frequently changing speeds and modes throughout any 24 hour period will eliminate any dead spots and help keep the tank cleaner. I'm also looking forward to having Apex automatically reduce flow during the night and I don't have to do a thing to initiate it. 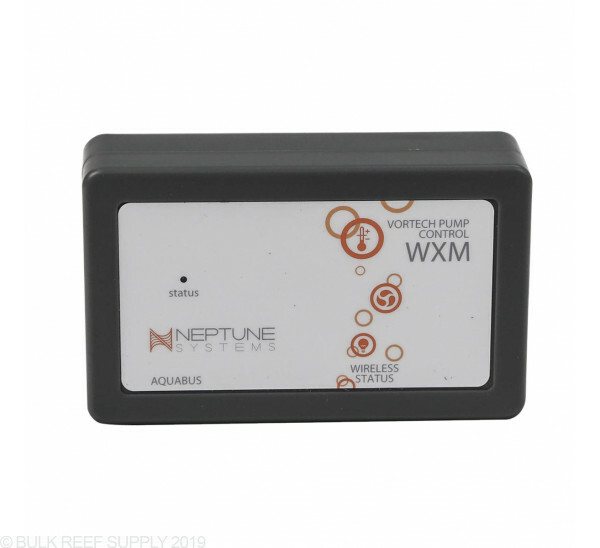 Wish I'd added the WXM sooner because I can now see how much more benefit my aquarium will realize from the awesome Vortec Propeller Pumps. I was using the Reeflink for a few years before getting the Apex. So when I saw the Apex would link to the MP40 and my lights I thought GREAT. Reeflinks operations and pairing is superior to the Apex. No Moon phase templates in the Apex, No Lighting templates in the Apxe, Pairing a device is not as smooth as the reeflink. a lot of button stabbing on the controller with the Apex. Bought it came quick. I'm not computer savvy there right just plug and play. Very happy with results. Will definitely recommend this product. Sad that it isn't supported with new Eco return pumps but understand why. But over all this thing is rock solid and have friends tell me about there Reeflink not working all the time with there Eco gear. I seen a few friends have issues with WXM but normally comes down to they did to many things to fast when adding MP wave units and there Radion lights. once cleared and installed again they never have a problem with there Eco gear and WXM. This is a superb module. It controls the Vortechs wirelessly, and gives you access to all the built-in modes except for wavemaking autotune. Since I'm not interested in seeing waves in my tank per se, it's not an issue for me, but might be for others. Best of all - the Apex programming interface for the Vortech pumps is so much more intuitive, flexible, and fast compared to using the Vortech control buttons or the clunky and buggy EcoTech ReefLink interface. If you're an aquarist who likes to run several different modes throughout the day, transitioning smoothly from one to the next, this is the only way to go. I hook it up with vortech mp40 and radion .working great so far np at all. While I like the module, it is expensive. I was able to easily connect to both my vortech mp10s and setup a custom program. Probably worth it if you already have vortechs and an apex controller. Well these wont let you control your vortech pumps or lights like the ReefLink does but if you have an Apex, Its the way to go. Even though its missing some functionality, there are plenty of settings/options that will let you configure your pumps/lights the way you want them to be. It's not a deal breaker for me and I would rather have one system for control than 2. Be aware that this product does not support the Vectra. A great add on to the system if you use vortech pumps. It gives you a lot of easy to access control over the pumps and a lot of customization of operation. This is a must if you own any ecotech product,no brainer. Simple to sync and works flawlessly. Do I need a separate WXM Module for each of the Radion G4 lights that I plan to control or can one WXM Module control multiple Radion G4 fixtures? If so, how many can each module support? 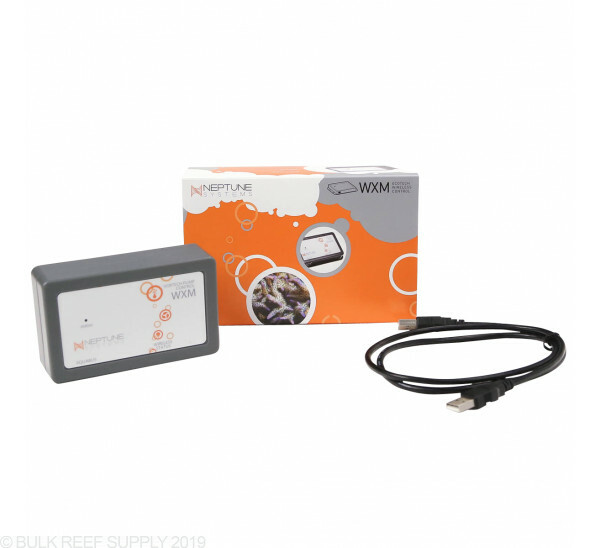 Do I have to have the reef link in order to connect to the ecotech products or will this direct connect them? Do I even need the WXM for the new apex system with build in WiFi? 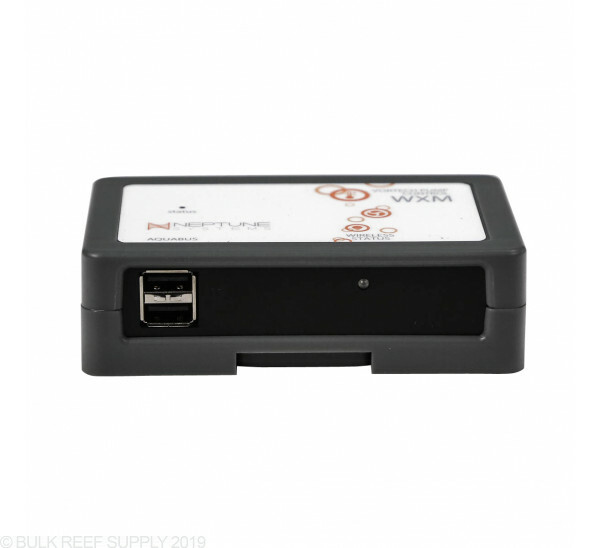 As long as your Vortech's are wireless enabled (all radions are already) you can wirelessly connect to the WXM module when plugged into the apex. 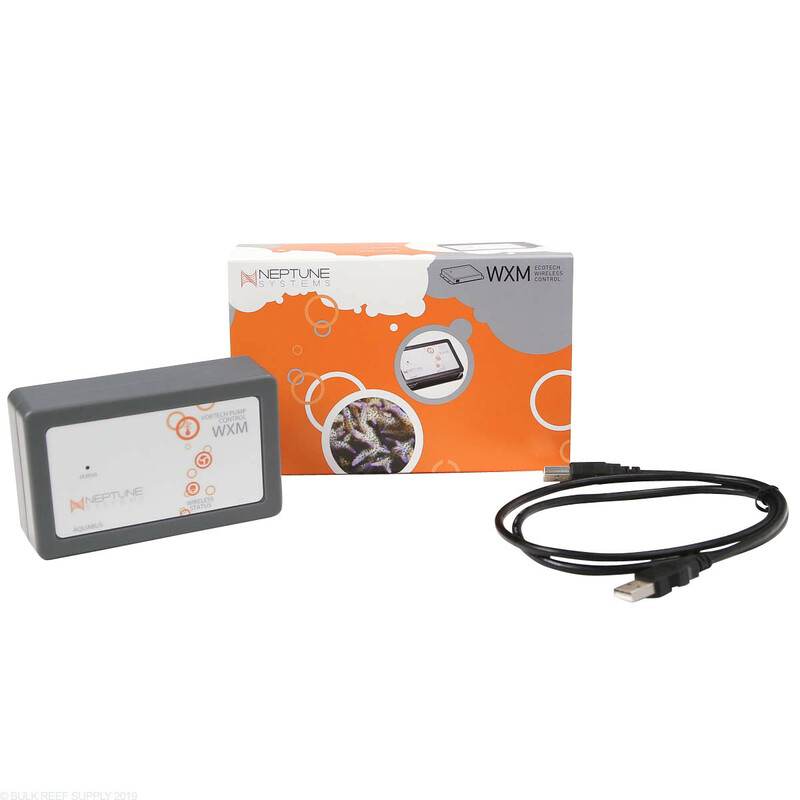 The WXM is still required on the new apex as the RF chip on the Radions and Vortechs does not work with WiFi. Feel free to let us know if you have any further questions. 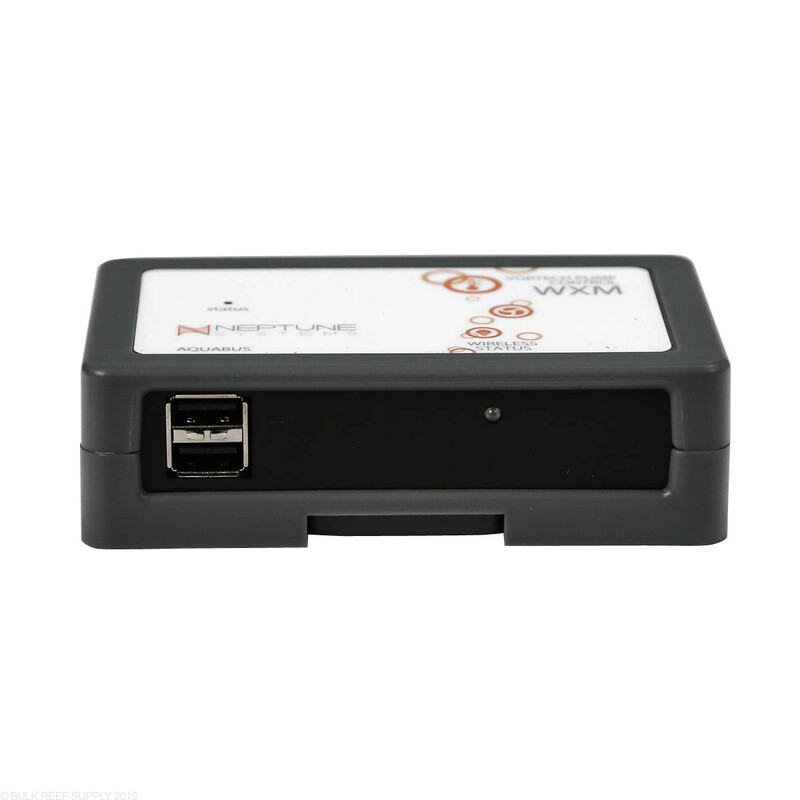 I notice that the WXM uses USB for its connection, will it work with another controller like the new Vertex Cerebra? Thanks for reaching out to us! These modules are proprietary to their manufacturer's products and are not interchangeable. Does this connect to the vectra L1. This will not currently connect with the Vectra pumps. Only the Vortech's and Radions. Feel free to let us know if you have any further questions! Will the WXM work with the apex classic? Yes, the WXM module will work with both the new and classic version of the Apex system. The WXM module will allow you to control your Radion lighting fixture from directly from your Apex unit. Radion control is planned for the future but as of right now (January 2014) the WXM module only controls the vortech pumps.